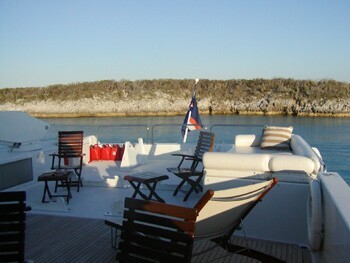 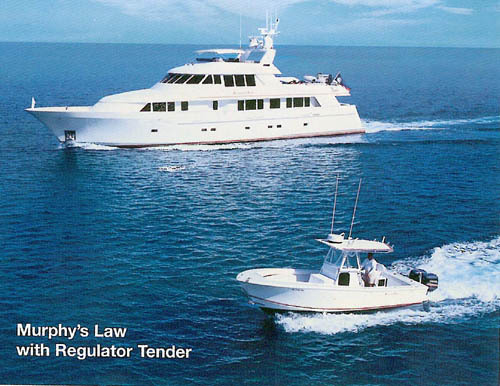 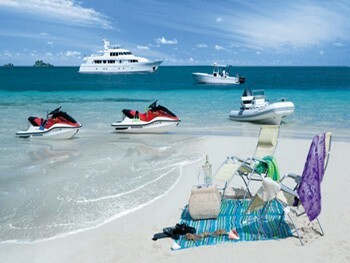 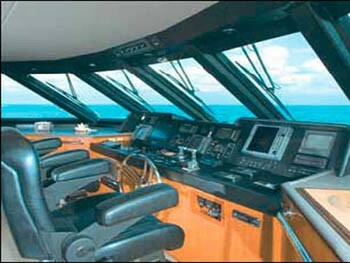 Luxury motor yacht MURPHY’S LAW (ex LANIDA) was delivered by Delta Marine in 1998 and underwent a refit in 2006. 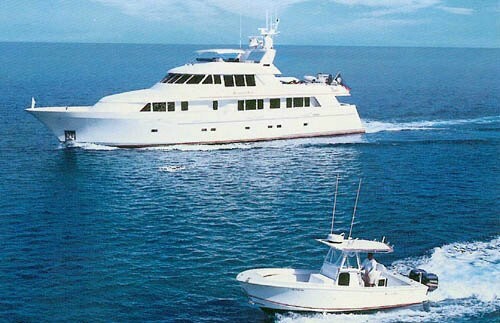 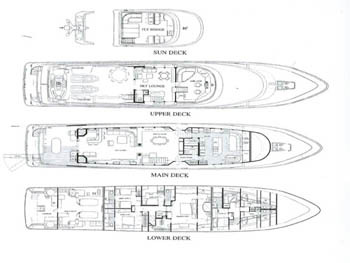 The charter yacht MURPHY’S LAW measures 37.7m (124ft) in length and can accommodate up to 10 guests in 4 spacious cabins. 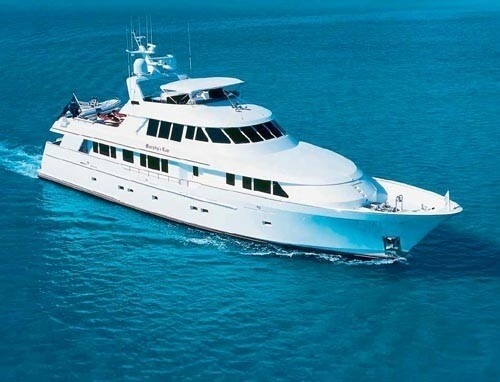 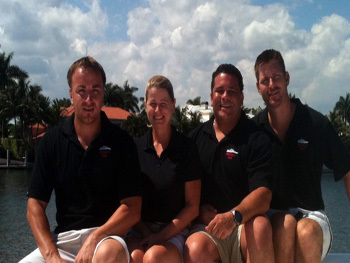 M/Y MURPHYS LAW is available for charter year round in Florida and the Bahamas, she is the ideal yacht for families or groups of friends, thanks to the generous interiors and exteriors and plenty of entertainment amenities. 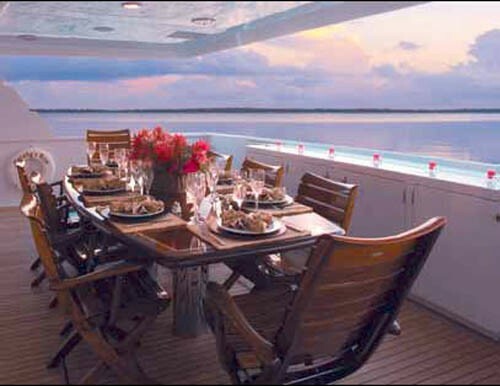 Charter yacht MURPHY’S LAW is a tri deck design, her interiors are open and light featuring subtle tones of tropical shades in cool blues, soft reds and neutral creams. 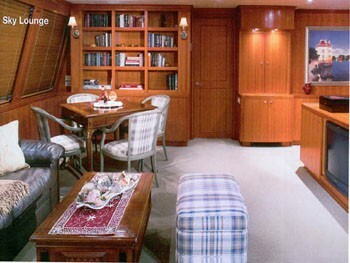 Fine cherry wood joinery throughout creates a warm yet sophisticated atmosphere. 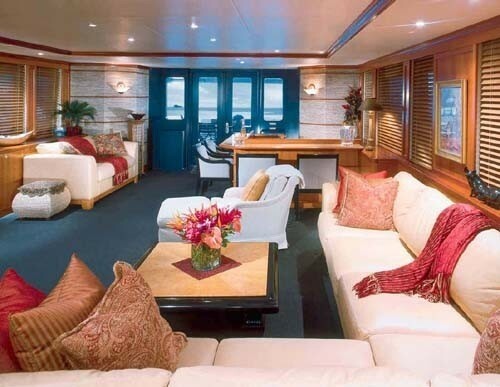 On the main deck the salon boasts a large L shaped sofa and coffee table, a complete wet bar with seating is perfect for an evening aperitif. 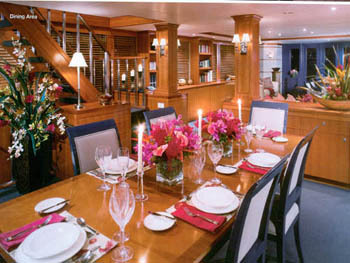 Forward of the salon and casually separated by a low crezenda and fine cherry pillars, is the formal dining space. 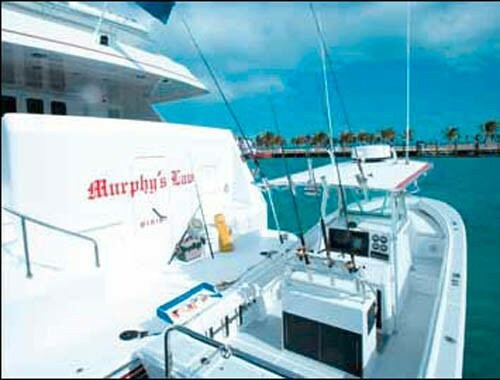 The MURPHY’S LAW motor yacht offers an alfresco dining option on the shaded aft deck, followed by an extended swim platform and abundance of fabulous water toys including a 26ft fishing boat. 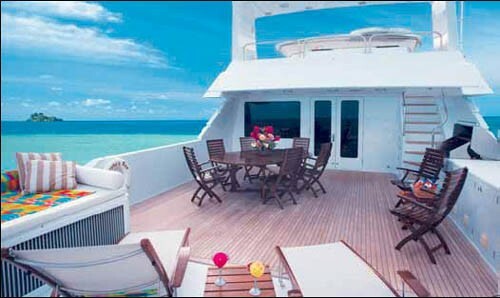 Above the salon and dining on yacht MURPHY’S LAW, guests can enjoy a further indoor entertainment area in the spacious sky lounge, complete with leather soft furnishings, games table and visual and audio entertainment. 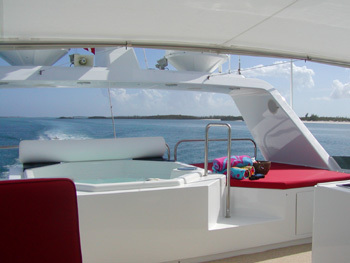 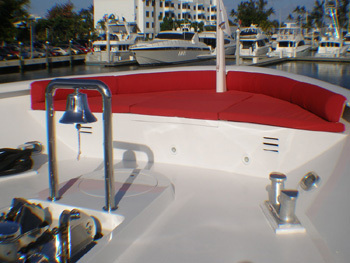 A sun deck is aft of the sky lounge with an alfresco dining option, chaise lounges, sunpads and option shade when required. 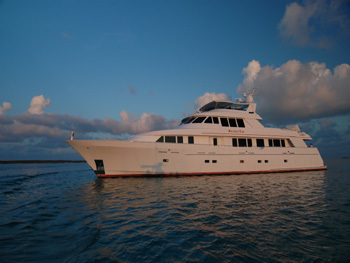 The Delta Marine motor yacht MURPHYS LAW boasts an upper deck ideal for further entertaining on the sundeck, guests can enjoy a cool cocktail from the wet bar, take a relaxing dip in the deluxe Spa Pool tub, dine on a scrumptious BBQ at the optional alfresco dining table, or simply sit back and take in the stunning views. 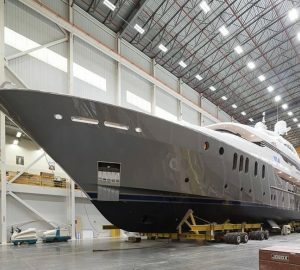 Luxury motor yacht MURPHYS LAW has a beam of 7.9m (26ft) and a draft of 1.8m (6ft), the yacht is powered by Twin Detroit DDEC16V-92TA's 1450HP engines and is capable of cruising at 12 knots. 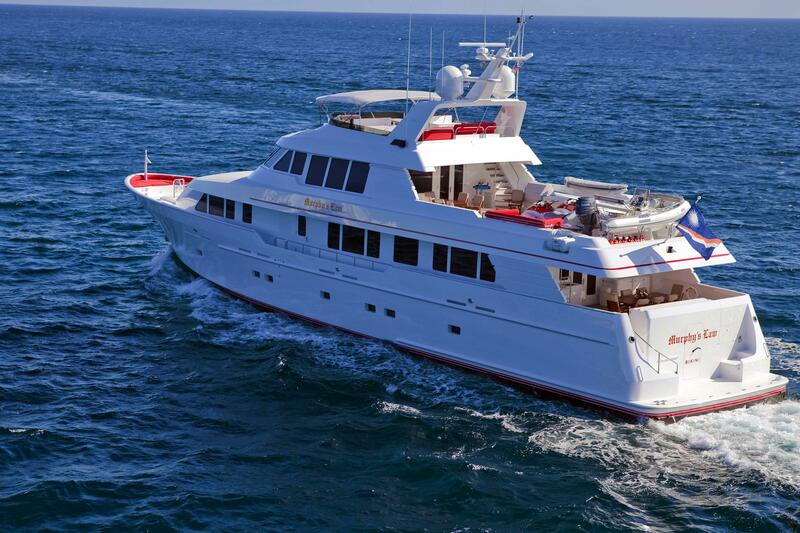 Charter yacht MURPHY'S LAW offers elegant accommodation for up to 10 charter guests in 4 en-suite cabins on the lower deck. 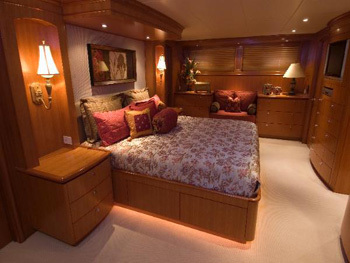 The master stateroom forward of the other staterooms amidships and full beam of the yacht featuring a king bed, walk in cedar closet, sofa, vanity, full entertainment center and his and hers facilities adorned in fine marble. 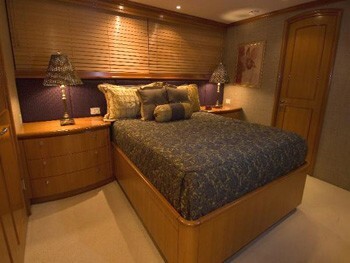 The VIP stateroom is on the starboard side and features a queen oversized bed, with en suite head and full entertainment center. 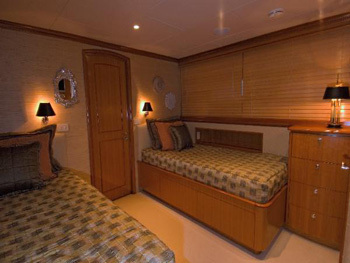 A guest stateroom is on the port side directly across from the VIP and features two twin beds, and a full size Pullman berth, with en suite head and full entertainment system. 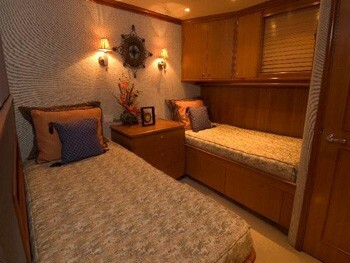 The additional guest stateroom features two twin beds and a full size Pullman berth with en suite head, and full entertainment system. 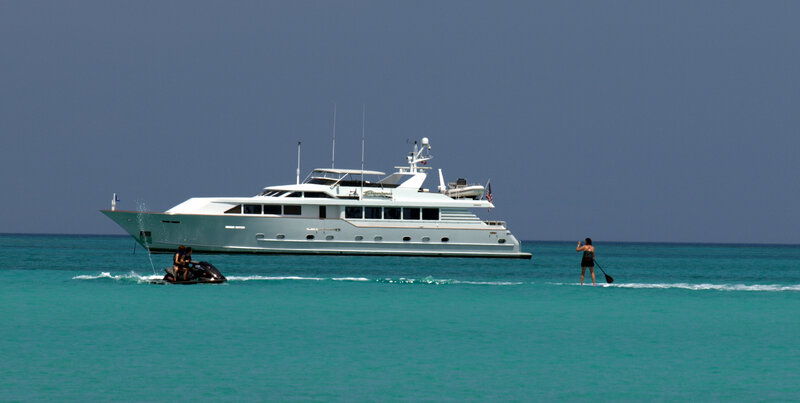 Superyacht MURPHY'S LAW has a great selection of extras onboard including the following Tenders & Toys: A 26' Regulator center console fishing boat, 15' Novurania, 2)3-person waverunners, 2 kayak, wakeboard, kneeboard, various towables, snorkeling gear, assorted beach toys, fishing gear, water skis, kneeboard, 2 paddle boards, free weights, stationary exercise bike, Communications include Sat Com, cellular, internet service through the cellular or sat com Audio Visual Equipment and Deck Facilities include Full entertainment systems to include surround sound, TV, DSS, CD,DVD, VHS and stereo.